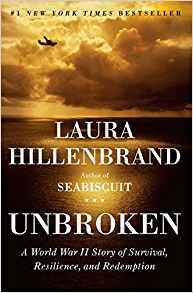 When I first read this book, I sped through it: to say the story is riveting is an understatement. What I appreciate even more now is the way that it illustrates both endurance and resilience – concepts that are sometimes related, but not at all synonyms. 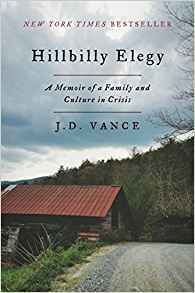 It is hard to say much about this book without veering into platitudes – just read it. (And thanks to Honeybee Kelly C. for the long-ago recommendation!). 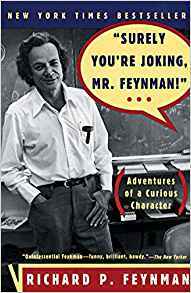 This conversational account of Richard Feynman’s development as a physicist is disarming: you are so busy shaking your head over his goofy practical jokes and constant curiosity that you almost forget this is one of the most brilliant scientists of our time. No matter what the puzzle, Feynman wanted to figure it out. 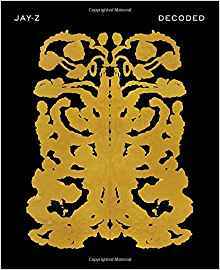 A must-read for anyone hoping to solve puzzles of their own. 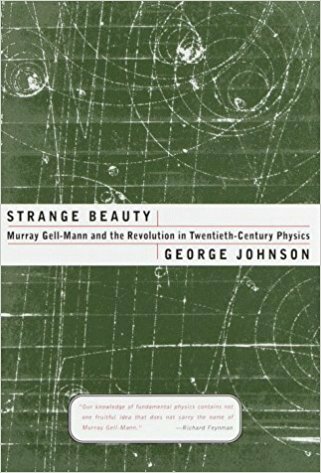 Many readers will know that Gell-Mann is a pioneer in complexity science and complex adaptive systems: his work provides the scientific basis for much of the other complexity-related work that we admire. We should all know about him and his work. 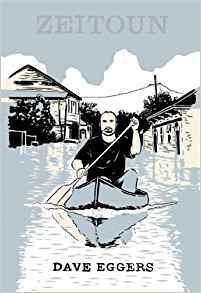 This non-fiction account of a New Orleans family during the Katrina era is a compelling narrative, and also raises some important questions about our society and the structures we’ve created for our own protection (without beating you over the head with moralizing). I held off on reading this book – well, not for long – because for one thing, EVERYONE was reading it, and I like to think I’m not so trendy. But duh, just like the iPhone, some things are popular because they are important, and useful, and this book is in that category. What interests me most here is the chameleon-like nature of the Jobs story – the Jobs life. I’ve talked with at least a dozen people about this book, and each one found validation for their own particular point of view on their own particular topic of interest – one thought it showed that design was the heart of all great innovation; one thought it showed that a person cannot excel in one area without being deficient in another; one thought it showed that our current definitions of “good” governance might actually go too far against long term thinking… and so on. The neat thing is, they’re all right! It’s all in there. I am hopeful that this story will serve as an inspiration to focus on important questions: can you create a company that is designed for long-term excellence in the midst of short-term mania? Can you be a nice person and also have ridiculously high standards? Can you produce an amazing product with amazing working conditions for your supply chain? Can you extend the influence of one individual to percolate through an entire organization? (I believe yes, on all counts. But as my mom would say, that’s why it’s called work – it’s not supposed to be easy). 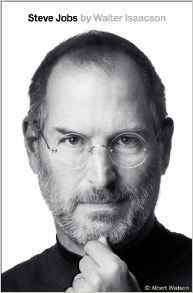 As a side note, I have a message for all of the jerks out there who think this story gives them license to scream at people in pursuit of their “genius”: you, sir, are no Steve Jobs. More’s the pity - for all of us. 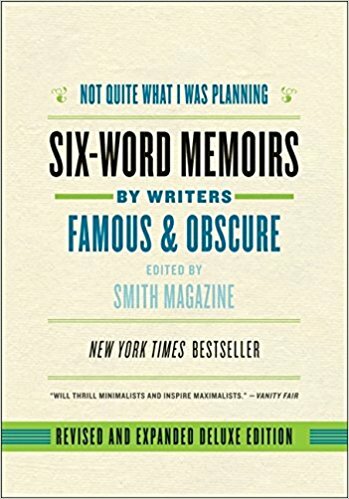 I am not usually a reader of groupie-books, but Richards, well, open any given page and you are likely to read something like, “It was in this Church Street period that I achieved my longest feat of Merck-assisted wakefulness – a nine-day epic of no sleep.” How can you not want to hear the rest of that story? 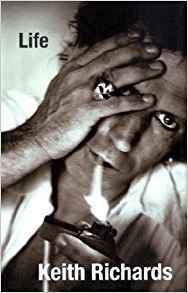 Since I lived a few blocks from Church Street in London, and spent many a sleepless night thanks to Merck as well (though mine were stock-driven and not pharma-induced), I figure Keith and I must be two peas in a pod. Jay-Z’s book is a curious mix of biography, art, and lyrics, all swirling together. You have to swim your way back out when you are done. I am intrigued by the Acumen Fund’s ‘patient capital’ approach, and admire the candor with which they discuss their work. 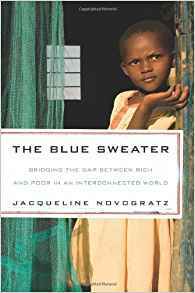 If you have not read founder Jacquline Novogratz’s book, The Blue Sweater, yet, it is a great account of the personal journey that has led to the creation of this innovative organization. This is a tough book to summarize, and it is not a cheerful, happy-go-lucky tome. 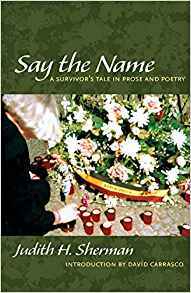 Judith Sherman is a survivor of the Ravensbruck concentration camp, and this book is a collection of poetry and prose about her life, both then and now. I was fortunate to hear Sherman speak during my theological studies, and it was an unforgettable experience – amongst the most important points she asks us to ponder is the role of silence, and what purpose words serve in situations when there really are no words that do justice to their subject. 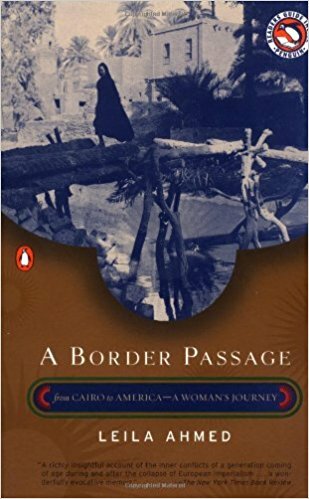 If you like personal narratives, this is sure to become a favorite: Leila Ahmed has lived during a fascinating time, growing up in Egypt as colonialism was ending and nationalism was rising, then going to the UK and ultimately the US to study and teach. Even more than the bare facts of her story, Ahmed’s writing is beautiful, lyrical and poetic, reflective in the way that all autobiographers hope to be, but few are. It is pretty flippin’ hard not to gush about all Shonda Rhimes has created: Grey’s Anatomy AND Scandal AND How to Get Away with Murder, for a start. Now she has created this wonderful book too, a book that is honest and nuanced and un-sugarcoated. 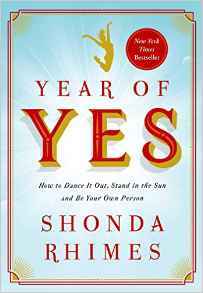 Illustrating the power of yes is important, but Rhimes also shows how hard it is to actually say yes, even to the things we want most. And it can be complicated – a Yes in one area might require a No someplace else. It might even cause pain to loved ones. And yet.... Yes. These are the anti-Murakami’s in terms of length and lightness. Both are very quick reads –perfect for upcoming hammock season. Both are (mainly) lighthearted, both are written by smart, witty, interesting women. 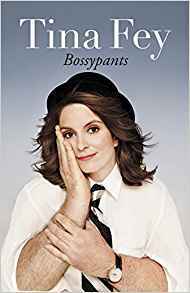 Both manage to make important points about the challenges of being women in the entertainment world with grace and humor and perspective and dignity. 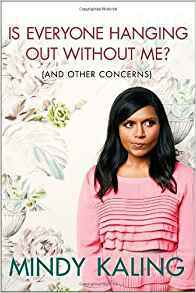 But they are not substitutes for one another, just because there happen to be TWO funny women with books out – each author leaves you with some sense of who they are as a person too, beyond the amusing stories. Also, if I had a teenage daughter, I would be sure she had some Kaling-esque inputs on body image, dating, and female friendships – her healthy views might help to counterbalance some of the junk that surrounds us all the time. This is not really a book you need to buy – you can see tons of the content at the site of its originator: www.smithmag.net/sixwords. Inspired by the Hemmingway incident (myth?) – when dared to write a story in just six words he responded, “For Sale: baby shoes, never worn.” Some are hilarious, some feel like a punch in the gut, some make you want to take the writer out for coffee and get more than six words out of them. It is a clever exercise, and a fun one to pursue with friends and family, on long car rides or over a lingering summer cookout. Think you know all about Genghis Kahn, heartless warrior? Well, think again. Weatherford shows us that even in the most straightforward, powerful stories, there is nuance that is way more interesting than the headline. For example, did you know that GK instituted the first fair distribution of wealth amongst soldiers? And the first family benefits for veterans? This is one of those “truth is stranger than fiction” books – you can’t make this stuff up! 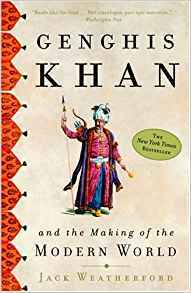 In addition to the thought-provoking primary content, the recent availability of Genghis biographical materials – long-hidden by various conquerors of Mongolia – is a tale in itself. One of the first questions posed to an aspiring author is, What’s your category? And don’t tell me it’s kind of science and kind of philosophy and kind of personal, you need to pick. 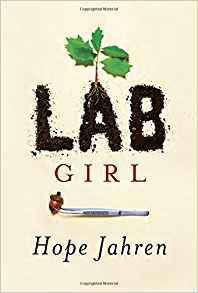 Well, thank goodness, Hope Jahren did not pick. 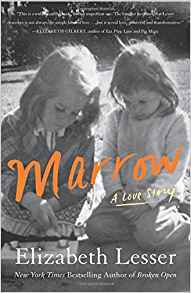 This book is a terrific integrated story – part memoir, part love letter to soil and leaves and trees, part meditation on true platonic love, part inspirational call to reflection and action. Each of these pieces is stunning, at times touching and at times hilarious, and each element is amplified and improved by the others. This is one of the most complete, most mesmerizing, most memorable books I have read in years. 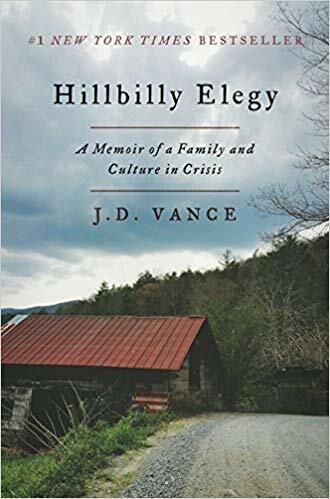 A note on media: I read part of this book, and listened to part of it; the audio brought surprising added inflection to Jahren’s story, and her voice carried over in my mind to the parts that I read on paper. Oh! How grateful I am for this book! For those of you who have read Elizabeth’s Broken Open or The Seeker's Guide, or those who have benefitted from the terrific work of the Omega Institute, it will come as no surprise that this story contains layers and layers. Here we see how healing takes many forms, and how the invisible is tied to the visible. If you think you don’t have time for the full book, please oh please view Elizabeth’s latest TED talk - you will be glad for every second of it, I promise. Once in a blue moon, an amazing alchemy occurs in the midst of our greatest sorrow: the weight of our grief is transformed into gratitude, and hope, and love. 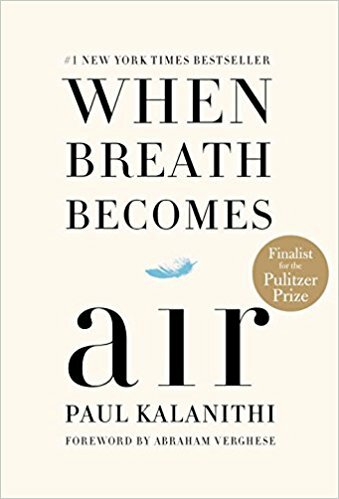 Dr. Kalanithi and his wife Lucy have given us all such a gift with this book, which charts their own alchemy, and lets us share in it. I highly recommend reading this in one fell swoop, and following up with Oliver Sacks’ Gratitude. 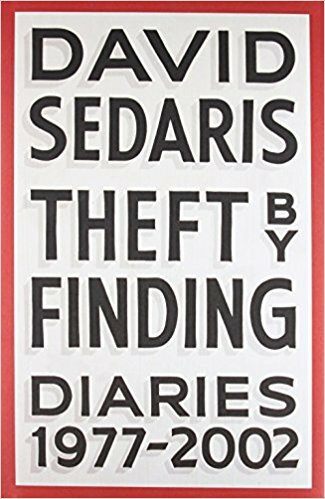 I’m usually hesitant about books based on diaries – usually they are short on editing, and let’s face it, most of the stuff in diaries even bores the author. This book is an exception, funny and conversational with a strand of wisdom and reflection woven straight through. A great book for consuming in small portions, as you wait for your boarding announcement or deli number or just-a-little-late friend.